The young, prize-winning, international recitalist Eren Süalp has constructed a programme that shows the cosmopolitan nature of contemporary guitar writing, exploring music from his own country, Turkey, as well as from Venezuela, Cuba and England. It ranges from the witty twists and turns of Turgay Erdener’s Five Grotesques through Bayraktar’s Six Anatolian Pieces – evocative arrangements that occasionally summon up the sound of Turkish plucked instruments – to Leo Brouwer’s powerful Sonata of 1990. Stephen Dodgson’s Partita No.1 is startlingly original and brings a unique sound-world to the guitar. 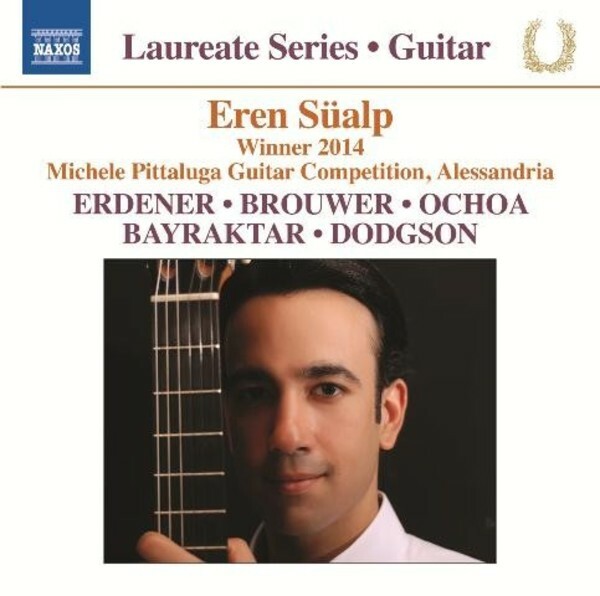 Eren Süalp was the winner of the 2014 Michele Pittaluga Guitar Competition, Alessandria.